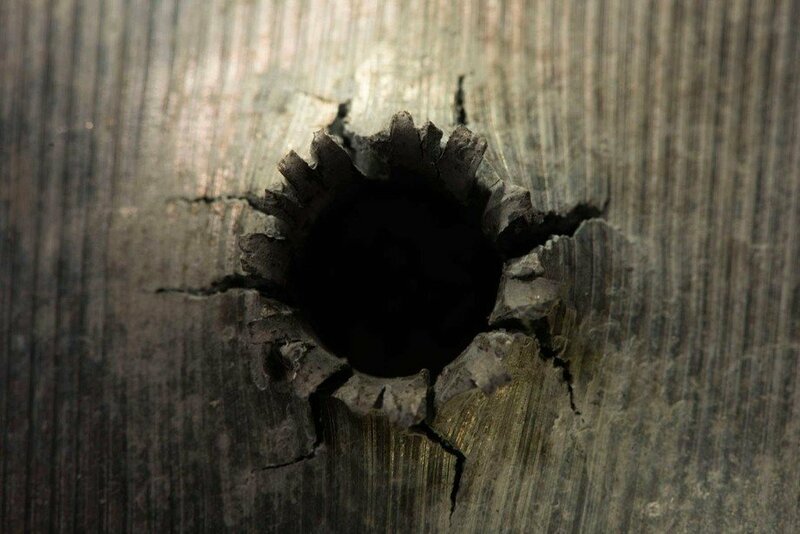 Satz has created an esthetic visualization of fired bullets and their effect. She shows their impact on material and animates their trajectory. The fast pace of the visualization reinforces its emotional impact. The powerful esthetic element makes what is in reality dangerous appear, in Satz’s work, fascinating and beautiful. Between the Bullet and Hole is also about the role of women in the production of weapons and military equipment. Born in Spain in 1974. An artist, whose work can be seen in a number of international institutions and at festivals all around the world, including the Tate Modern and the New York Film Festival. In 2012, she was nominated for a Samsung Art+ Prize. Her projects can be seen online at www.imanagram.com. Her film Doorway for Natalie Kalmus took part in the European Short Film Competition at the 14th edition of the T-Mobile New Horizons International Film Festival.